Snowboard Instructor Course Graduate Interview - Abi. 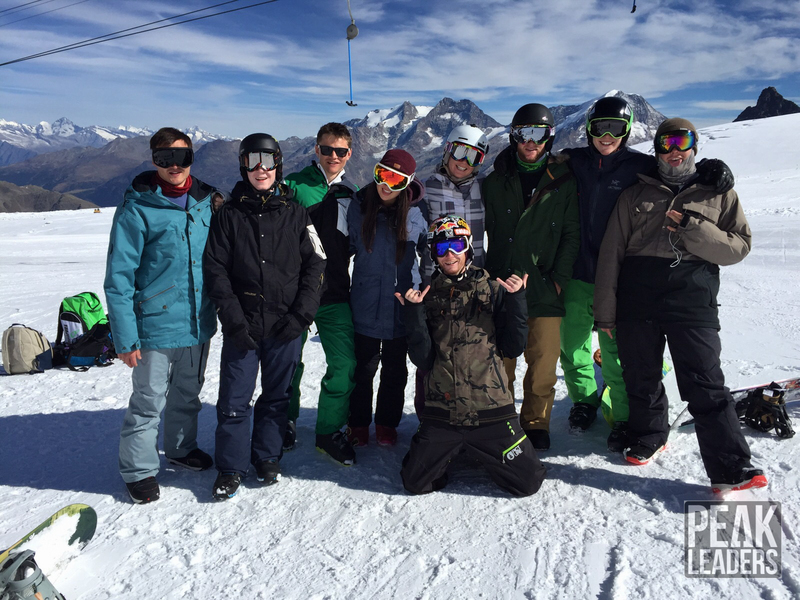 South African snowboarder, Abi O’Donnell, joined us for the 10-week snowboard instructor course in Saas Fee, Switzerland in 2015. 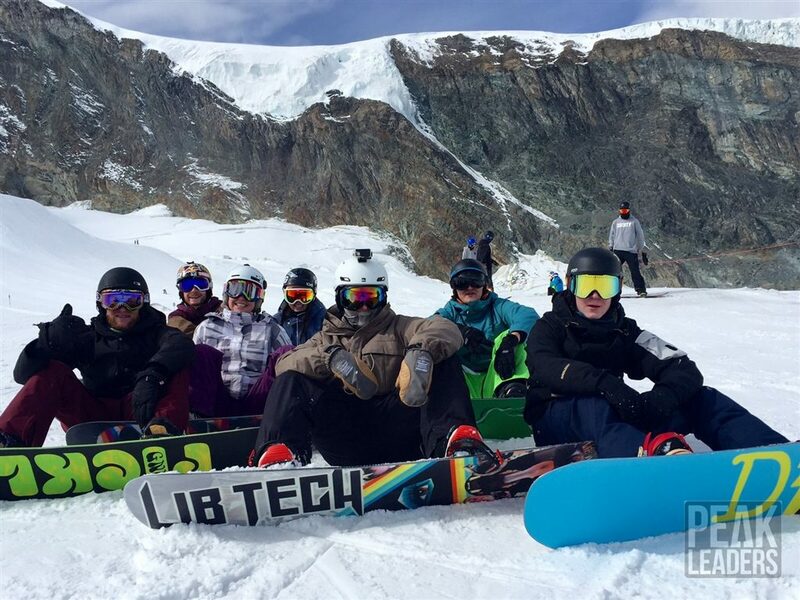 Her goal from the outset was to qualify as a snowboard instructor and work with Les Elfes International Ski and Snowboard School in Verbier for the winter season. 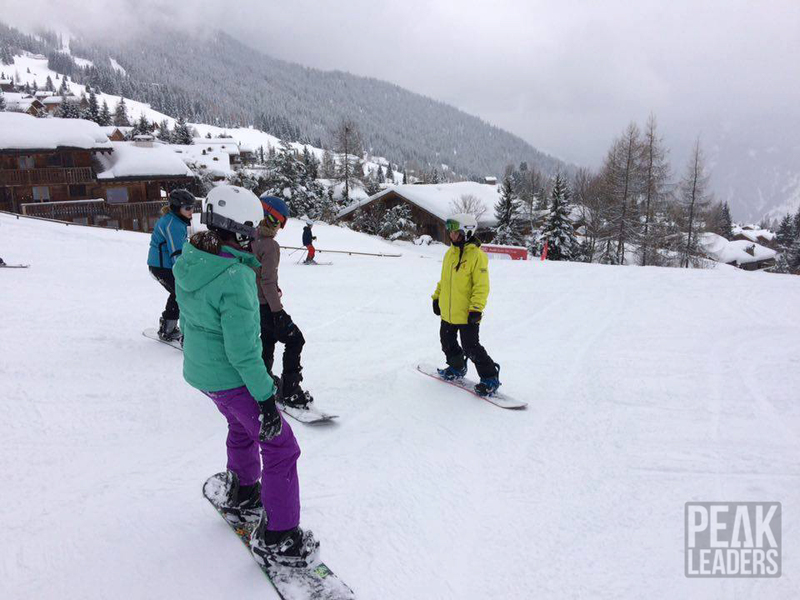 We caught up with Abi to hear a little about her unique story and to find out how she enjoyed her first season instructing in the Alps. PL: Do you have many opportunities to snowboard in South Africa? Yes! I learnt to snowboard at Afriski Mountain Resort at over 3000m above sea level in Lesotho, a small independent country about six hours away from the East Coast of South Africa. 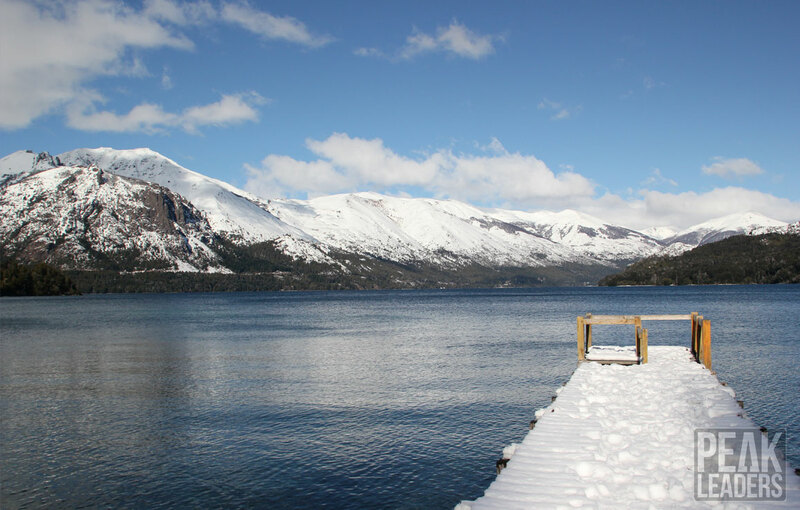 Everyone who works there is extremely passionate about skiing and snowboarding and come from all over the world! It’s unlike any other resort I’ve ever come across, with the timeless African culture that’s a short drive away. It’s as if the villages that are scattered across the mountains are still stuck in Africa’s past. The surrounding mountains are completely untouched by human civilisation, so if you catch the last lift up and take a short walk away from the resort; the sky comes alive with stars after sunset and it’s inexplicably silent. It’s beautiful. This has proved to be a playground for the few of us that take advantage of the off piste on powder days, with such a low avalanche risk and the freedom to ride fresh lines, that have never been ridden before. There’s also another small resort called Tiffindell, it’s in the Southern Drakensberg Mountains. 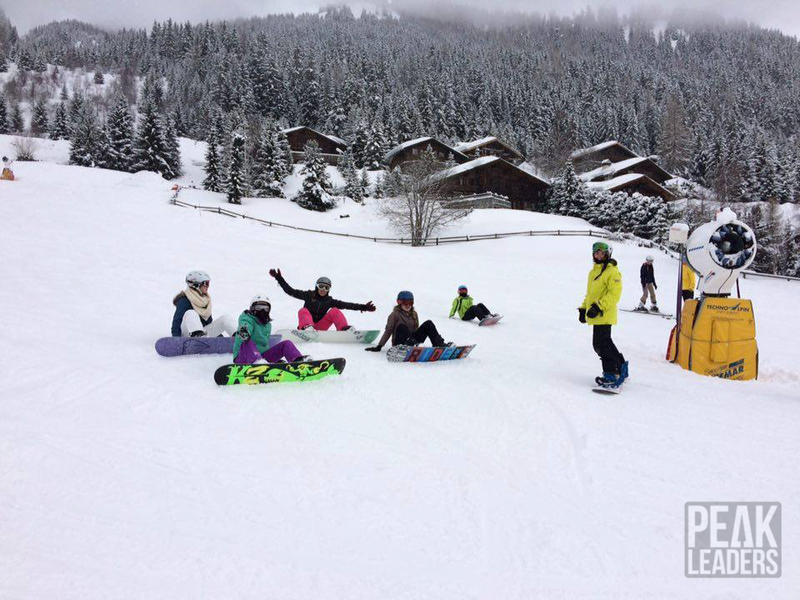 PL: What made you decide to do a snowboard instructor course? Growing up in a sub-tropical country, I took to surfing and skating at a very young age. I used to spend most weekends on a board. 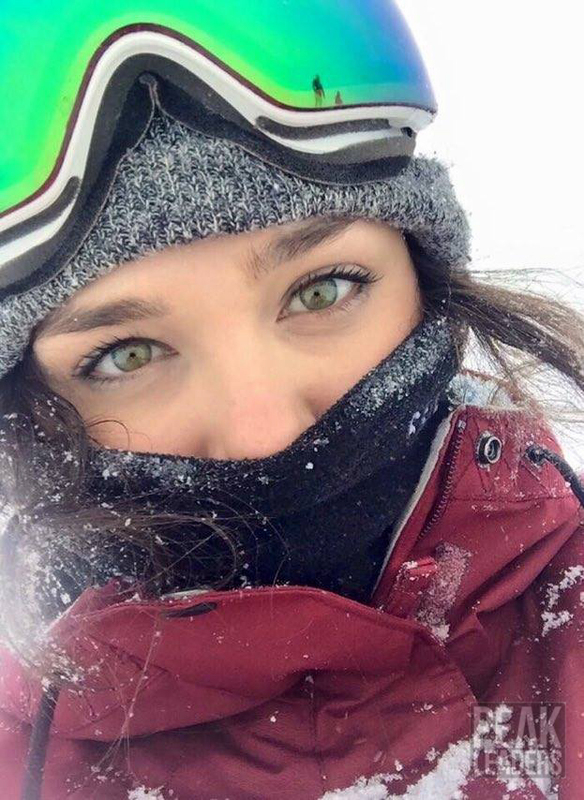 But, for some reason, despite all odds, my favourite sport was always snowboarding; regardless of never actually even setting foot in snow or meeting anyone who was a snowboarder. Still, I never used to give up on wanting to learn it. I jumped at the first opportunity to learn when I was fifteen. I found myself trying the features in the park within a week of learning; spending hours practicing (and enduring many bumps and bashes, might I add!) 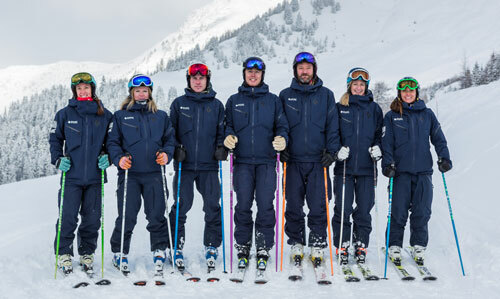 My first season introduced me to many instructors who shared the same passion as me and inspired me to qualify as an instructor. 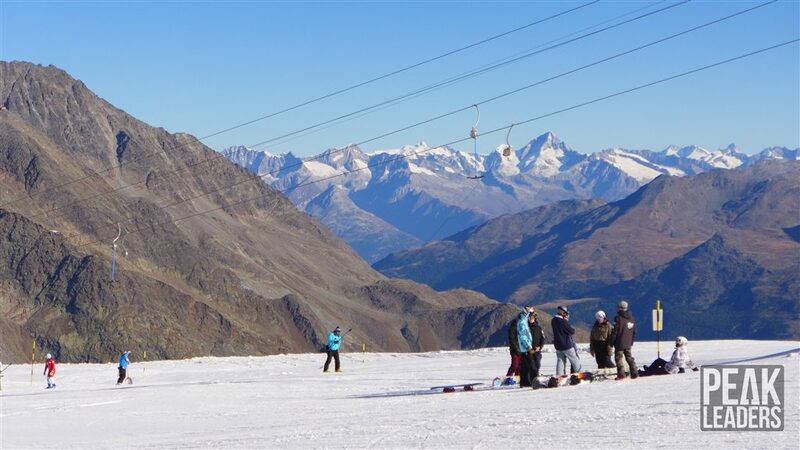 And, so, I saved up and found myself living out my dream in Saas Fee doing a Peak Leaders course in 2015. 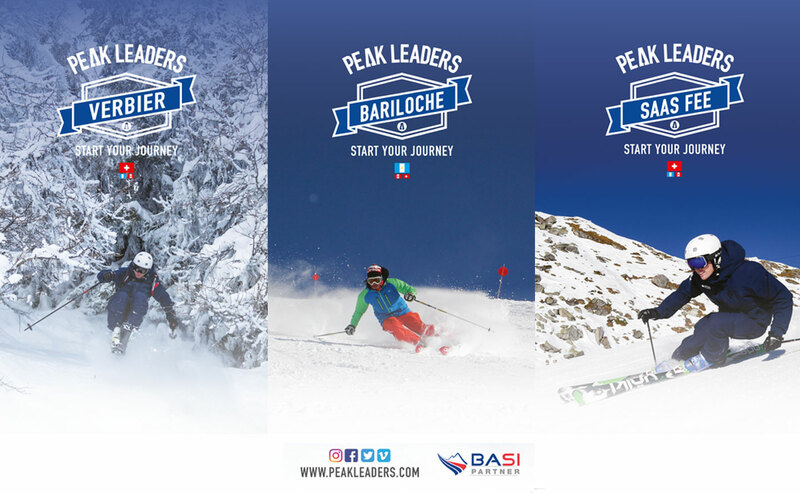 PL: What made you choose the Peak Leaders Saas Fee Course? PL: How did you enjoy the group dynamic – were there many people from different parts of the world? The group dynamic was a wonderful surprise! There were people from all over the world; which gave us endless stories to exchange about our contrasting backgrounds and experiences. We all became friends very quickly, especially because we all had something in common in sharing the same passion and goal. The best part about all being in it together, was how easy it was to spend our off time together; making the most of the famous ski season night life during nights out (we went all out with crazy outfits for the Halloween party at the local club, Popcorn!) We also enjoyed many quieter evenings spent talking about our day over a few beers or dinner. 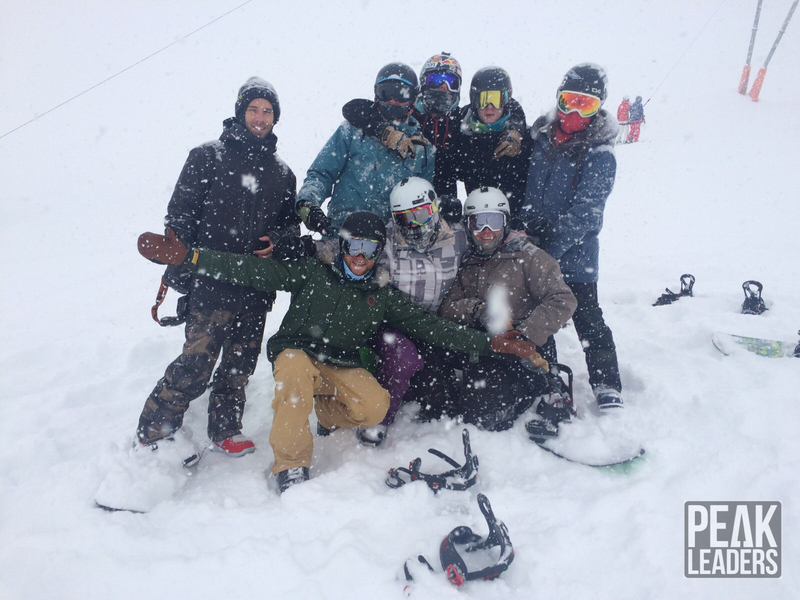 Best of all, our off days were spent riding the abundance of snow, insane pipe and park, and the countless powder days. 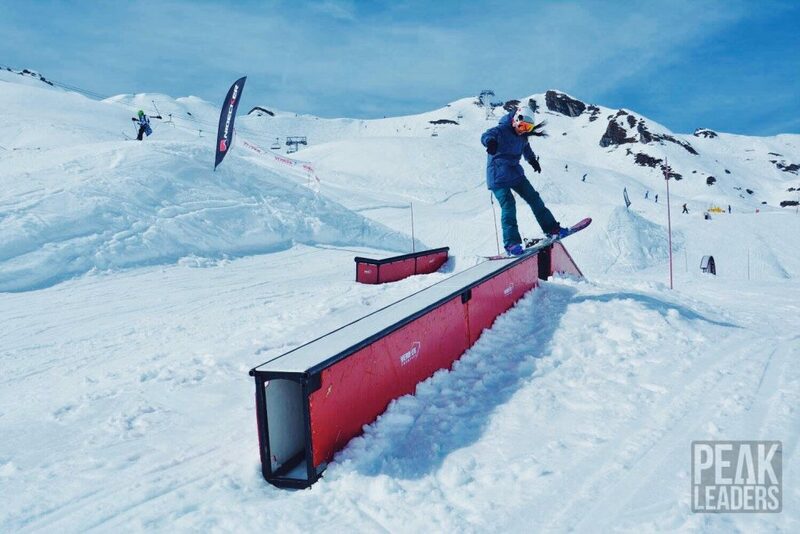 The day the mountain was closed gave us the perfect opportunity to all team up to build a kicker in a nearby field and play around on it for the day! The support we had for each other was a huge motivation for me. There was always more than one person willing to spend some time helping a friend in need of a study partner, or to ride with at the end of a day! I am still in contact with the friends I made through Peak Leaders, and would happily visit any of them if I was travelling abroad. PL: Who trained you and what was the best thing about the training? 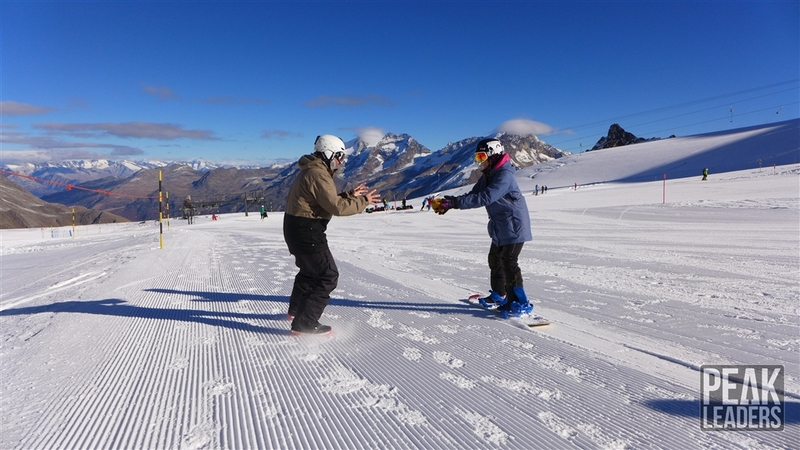 I was trained by Graeme Gibson, a talented snowboarder with loads of skill and experience. He created the perfect balance between being a friend to us, having been in our position once, too; while keeping everything at the utmost level of professionalism. Our trainers and examiners were all incredibly patient, thorough and quick to notice and correct any errors; while keeping it simple. Graeme spent time getting to know us individually, on and off the mountain, and took an interest in understanding our goals in order to guide us in a way that would benefit us. It was super helpful knowing that he would always find extra time to work with us individually on anything we weren’t confident about – this made it easy for him to know our strengths and weaknesses. He knew how to make the long hours of training heaps of fun; often sneaking a few quick laps in through the snow park. Our examiner, Rob Norton, also knew how to make exam weeks enjoyable, rather than stressful, and was easily approachable. It was a big plus to be allowed the thrill of enjoying powder days to test our variables, and clear skies to examine our freestyle skills! Both Graeme and Rob were living examples to us in their way of teaching, which gave us a clear understanding of what was required to be a successful instructor. PL: How did you enjoy the meals in Park Hotel? With so many of us to make meals for; it was always impressive to see the amount of effort put into the presentation and variety on each plate! It was also super easy to increase our level of fitness when we had such a healthy selection of food for breakfast, lunch and dinner to keep us going through our busy days. PL: How much help were Peak Leaders with finding work following the course? Peak Leaders were excellent in helping us find a job for the upcoming season. The success rate was so high that all those seeking positions ended up scattered across Japan and Europe. Our group leader found time to help each of us individually, whenever we requested a chat. I was pleasantly surprised at how much effort was put into getting to know us on a personal level in order to help us as best they could. We had lessons on how to create CVs that stood out, and how to follow up on notable job interviews that were professional in both conduct and appearance. Our group leader, Steve Small, spent many evenings patiently reading through draft after draft of our CVs; guiding us with as much time needed to make sure they were up to standard. We were also provided with references for potential employers. 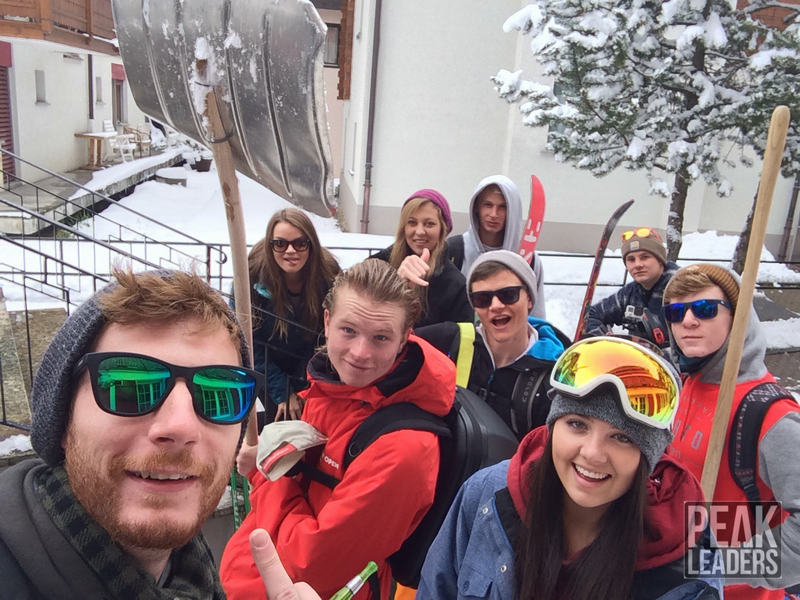 These theory lessons were closely focused on teaching us the requirements needed to be recognised and stand out as potential employees in the competitive career field of snow sports; but had a strong foundation in teaching us life skills that will always be useful in landing future positions in any career field. PL: What have you done since completing the course? With everything Peak Leaders has taught me, I received more job offers than I could have hoped for! I had the option of working in Japan or Europe, and decided to take up a position at Les Elfes International in the beautiful Swiss resort, Verbier. I received a full-time position; instructing six days a week, with a variation of group sizes and ages. It was so rewarding to have work from the first week of December right up until the end of April. 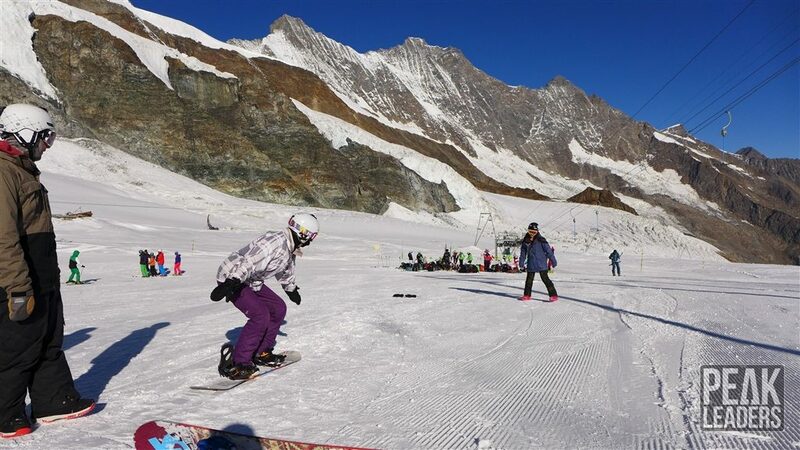 I was then offered an extension of my contract; which allowed me to spend an incredible Spring season in the famous glacier resort, Zermatt; where I was able to snowboard under the iconic Matterhorn mountain until the first week of June! It was so rewarding to watch my groups progress from what I had taught them. On a more personal note, our Avalanche Safety Course has really opened my eyes to risks I would have never been aware of if it hadn’t been for my Peak Leaders course; I realised the importance of reading the mountain and knowing where to ride as, not only an instructor, but as a snowboarder, myself. I had not realised how important a First Aid Course is for life, on and off the mountain; and the course Peak Leaders offered us was incredibly detailed, however, taught in a way that made the information become a matter of instinct, rather than facts written down in a book. It covered more aspects than any other First Aid Course I have ever done. Living the dream in Verbier! 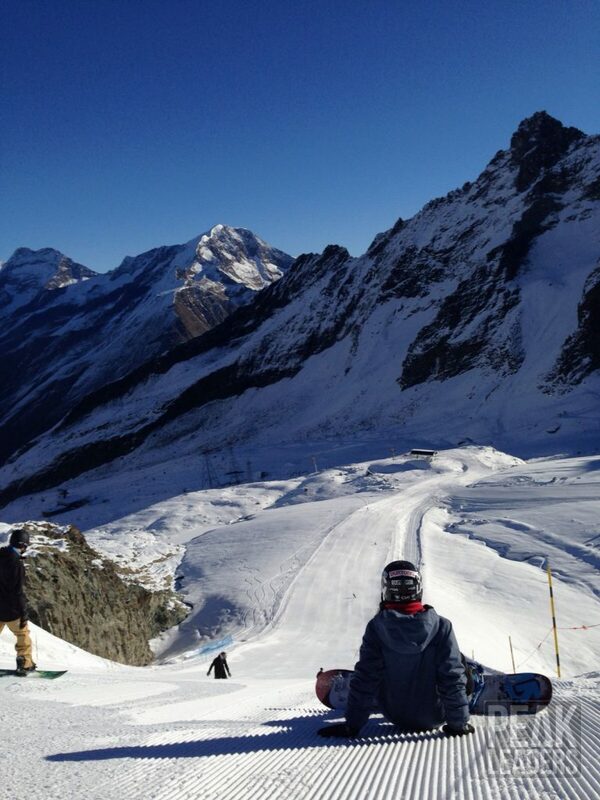 PL: How has your riding improved since the Saas Fee snowboard instructor course? My favourite part about the course is how much my riding has progressed! I learnt far more than I could have ever expected was possible, and the skills and technique that I was taught is a way of riding I would never want to change. I wasn’t aware of just how much I still had to learn, and my snowboarding has become far more enjoyable from what I’ve learnt. Instead of only teaching us a set list of skills to take home with us; it taught us how we can increase that range of skills on our own and further teach ourselves even after the course had come to an end. PL: What is the best part of being an instructor? One of the best parts about being an instructor is definitely the people you meet along the way, and the friends and cultures you become familiar with. The ability to share my passion with others and pass that gift onto them is an incredible feeling. It’s so rewarding to watch people achieve their goals and progress, all because you taught them how to. But, my absolute favourite part about being qualified is the countless doors it opens to allow for travelling anywhere you could dream of! You are welcomed to a world of opportunity that offers you a lifetime of adventures, experiencing and exploring some of the most beautiful places on Earth; if you want to. You’re given the gift of being able to earn your way chasing Winters across any continent you may choose to venture to; all while teaching others how they, too, can experience that.